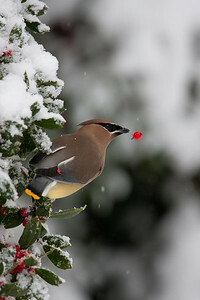 Cedar waxwing eating holly berries in snow. 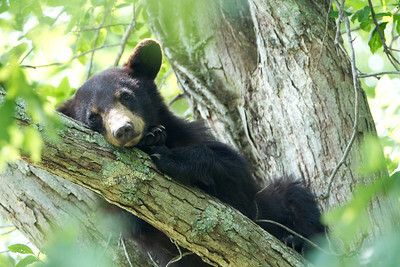 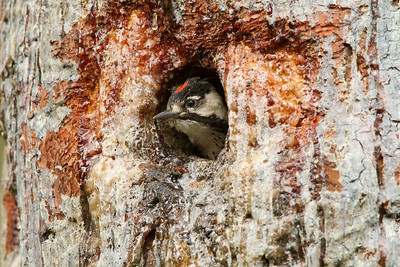 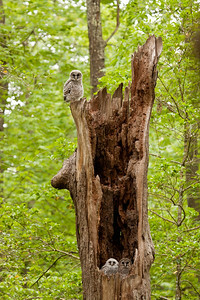 Black bear yearling resting in White Oak tree. 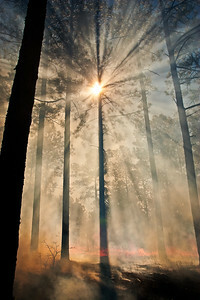 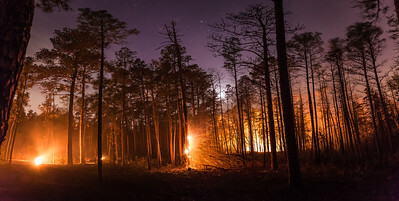 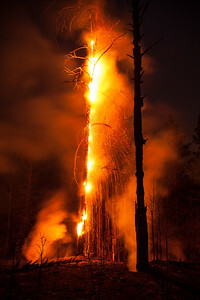 Burning snag photographed during a controlled burn on Sandhills Game Land. 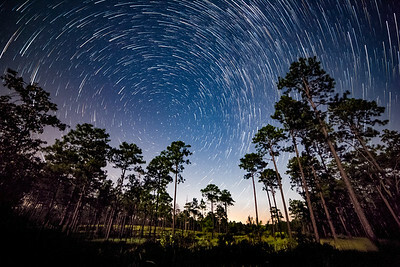 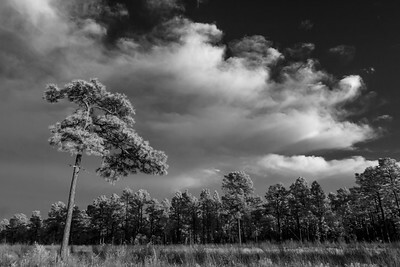 A lone old growth Longleaf pine photographed with an infrared camera. 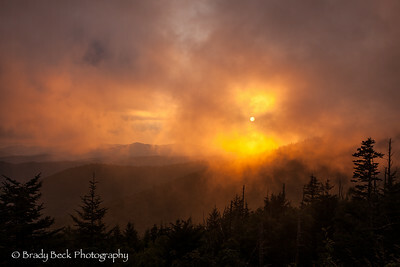 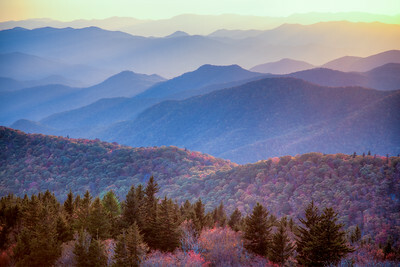 Fall color at sunset shot from the Blue Ridge Parkway, NC. 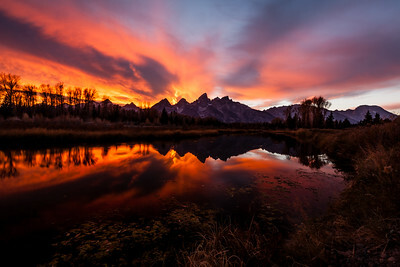 Incredible sunset at the foot of the Tetons, Grand Teton National Park. 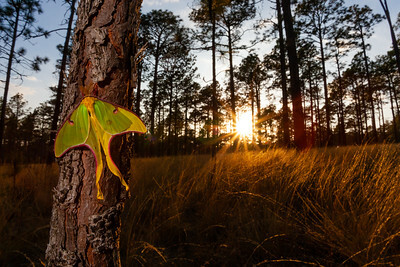 Luna Moth drying its wings on a Longleaf Pine sapling. 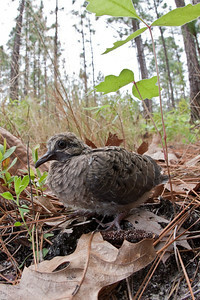 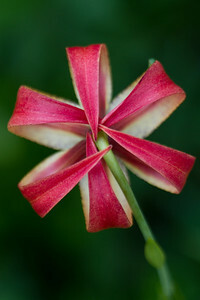 Top view of a fire lily in the Sandhills of North Carolina.